The green-and-black poison dart frog (Dendrobates auratus). 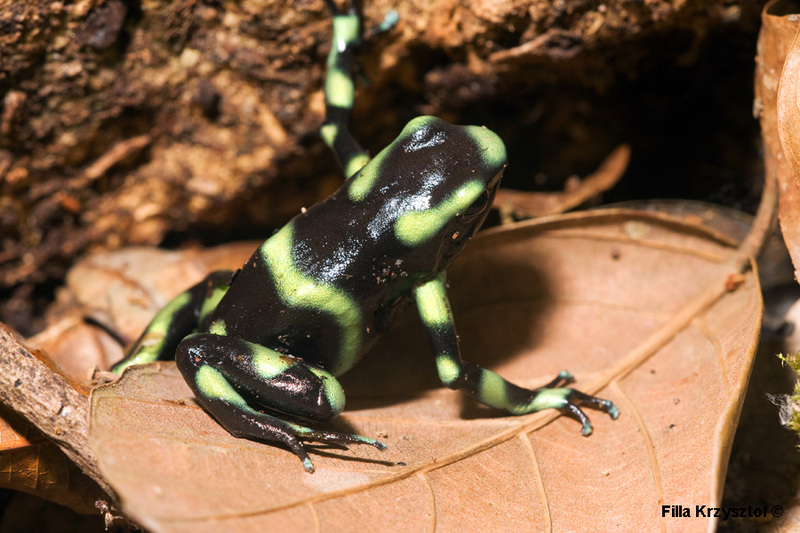 Their reproductive habits are similar to the granular poison dart frog. They are good climbers and can take their young tadpoles to the tree tops in search of stagnant water pools.